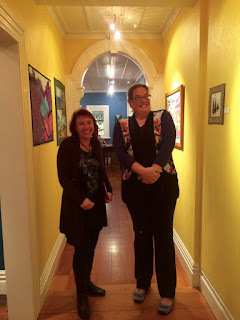 My good friend, and fellow art quilter, Mathea Daunheimer, has an exhibition hanging at the moment. She is part of a group called 'Wot Knots', and 13 of them have been working away on a 12" x 12" challenge over the last couple of years. 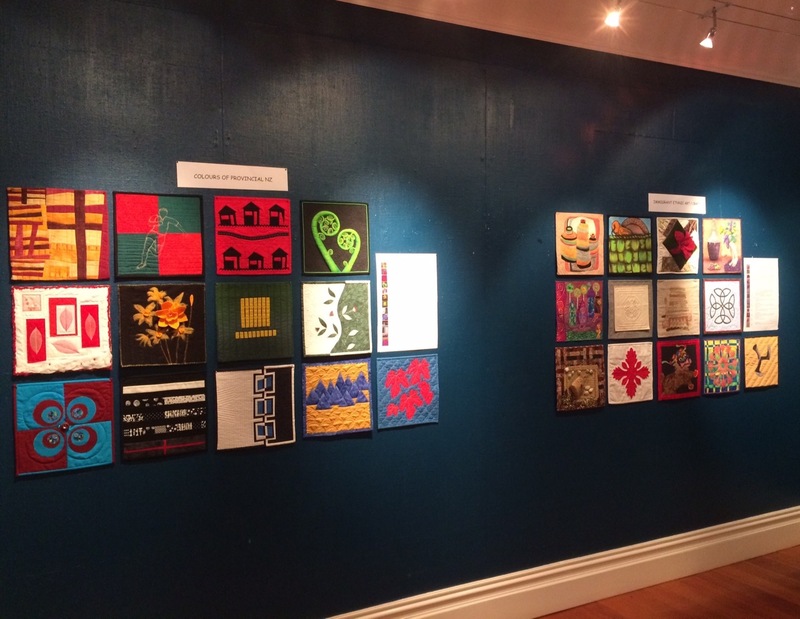 "A Bakers Dozen, 12 x 12 Challenge" opened at Reyburn House in Whangarei on the 4th of June. It runs till the 28th so you still have a few days to see it. I was lucky enough to attend the opening night and I was blown away by, not only the talent and imagination of these woman, but the commitment they each displayed in seeing this challenge through. Every member of the group took a turn in picking a theme, with an overall theme of New Zealand. Then every member had two months to make a 12" x 12" quilt depicting the chosen theme for that period. 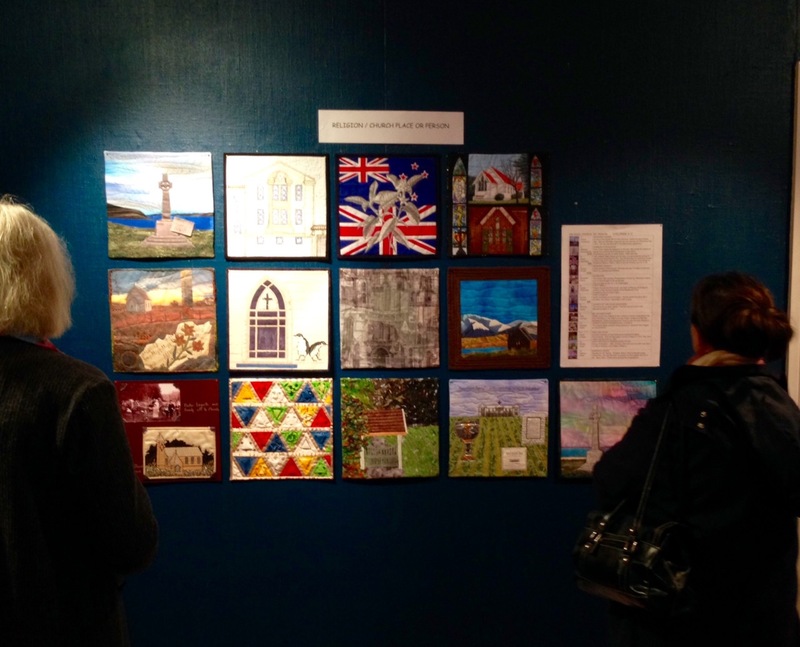 The quilts are hung in their themed groups and make for an interesting exhibition. Here are a few photographs from the opening night. This last photo is of two of the exhibitors. 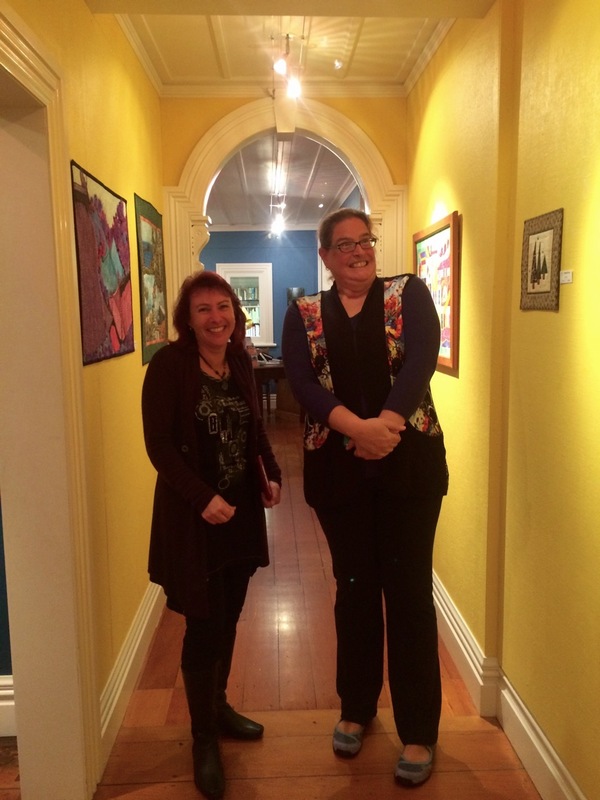 Sonya Prchal on the left and Mathea Daunheimer, hamming it up, on the right! Both are very talented artists so I urge you to click on their names and go have a look at their work. Edited to add: due to the popularity of this exhibition, the date has been extended till 12th July. I've used tannins to turn rust dyed fabric grey or black before. But I wanted to know if I could control the effect more. Turns out you can. 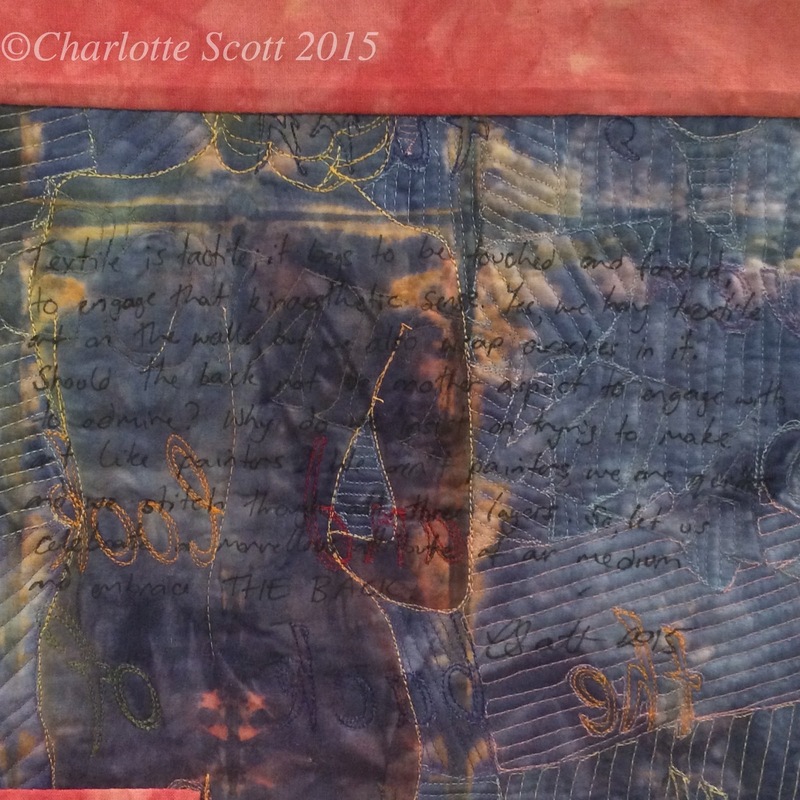 I also want to show you one way I use my own photos for quilts, even if the photos aren't perfect. So, here's a photo of a white faced heron taking off. Blurry and unclear. But I can still use it. First off I print it in greyscale in A4 size. 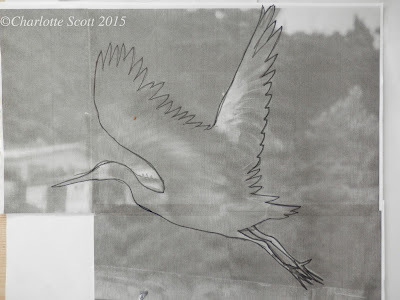 Then I take a thin black marker and outline the bird. I refer to the photograph and if something isn't clear, I just fudge it. Then I take this photo and enlarge it to the size I need. My printer has a posterise function that automatically resizes an A4 sheet to A2, then I just tape the relevant prints together. I use a light box (my mac screen makes a great light box!) or a window and trace this onto freezer paper. An x-acto knife makes cutting out precise and easy. So now you can paint, or stencil, or discharge or use this stencil however you like. In this case, I ironed it to a previously rusted piece of fabric. Then I applied wet tea leaves over the shape. I didn't want the liquid from the leaves to 'wick' too far under the stencil so I wanted it to dry quickly. To do this I placed paper towels over the top and ironed it on a hot setting. 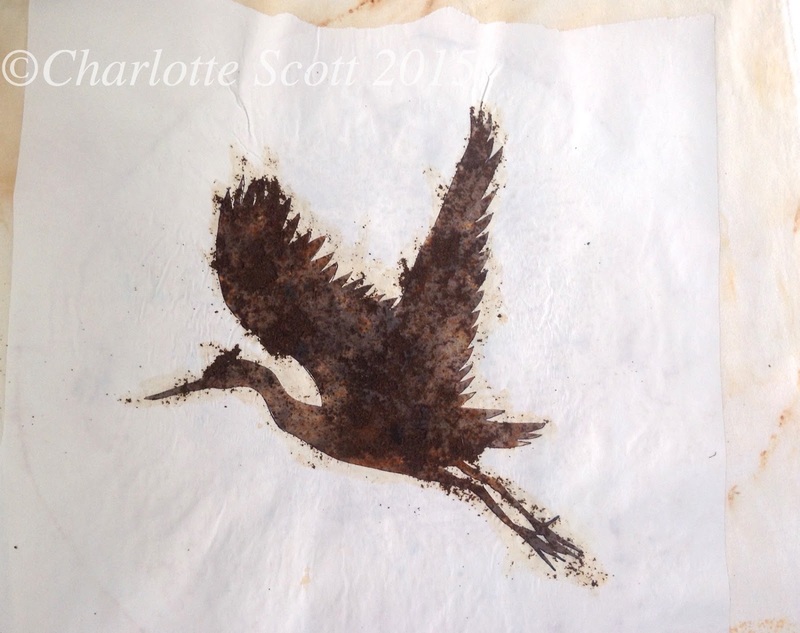 Once it was pretty dry, I brushed off the tea leaves, peeled off the stencil and ironed it again. This episode is an interview with Kerry Glen of Tulis Textiles, a web based quilt shop that specialises in batik fabrics, squedge rulers and now branching out into surface design supplies. 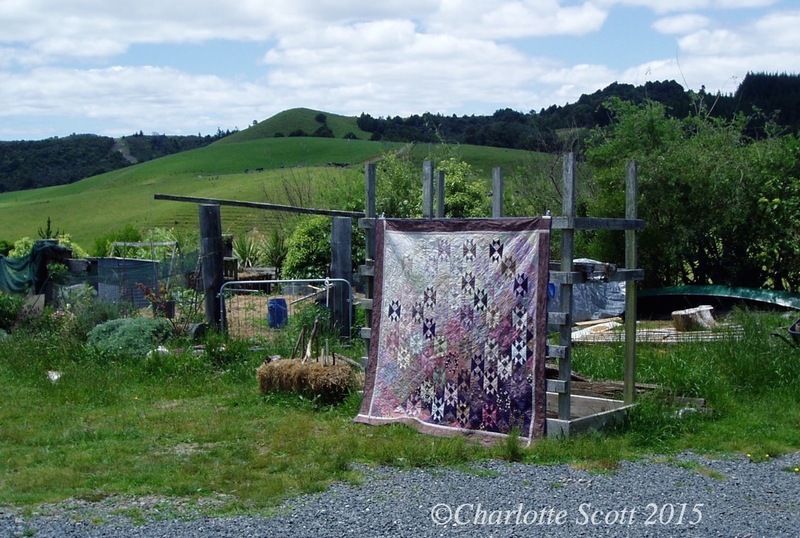 Kerry talks about her journey into quilting, and importing and selling batiks. We learn how batiks are made and also about some other Indonesian fabrics. Below is a picture of one of Kerry's chops or caps, which is used to print a wax resist onto the fabric. This is the surface of the chop dipped into the wax, the handle is behind the chop and you can't see it. Here is a picture of the table runner that we talk about, with an unusual colour scheme inspired by a clay pot, and created using a 15 degree wedge ruler. Kerry has a free pattern for this on her website, click here to see it. 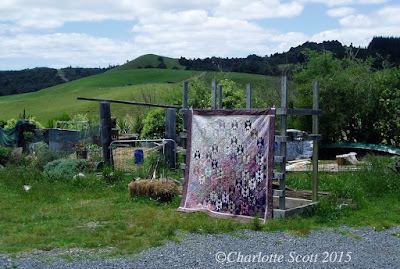 Kerry has begun holding quilt retreats and we discuss the why and wherefores of getting together groups of like minded people. 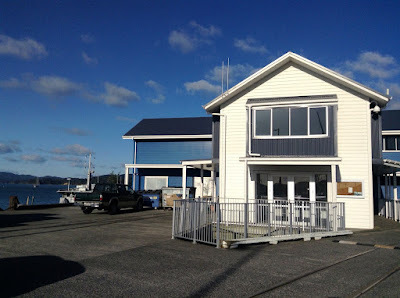 It's really awesome that the New Zealand quilt market is growing to the extent that make these retreats viable. I hope that Kerry keeps getting the numbers to continue these as they are an awesome way for quilters to get together with people who speak your language and learn something new. 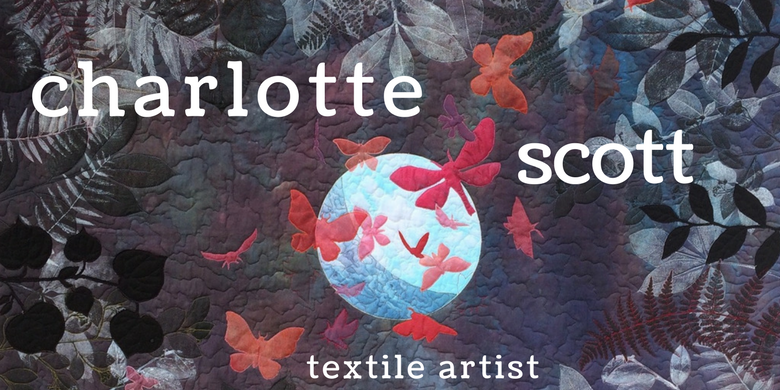 Go and check out the details for her textile art retreat in August. Kerry has also started stocking surface design supplies, check them out here, and check back often as the range is going to grow. I had a wonderful time talking to Kerry, and there is much more, so have a listen and enjoy! 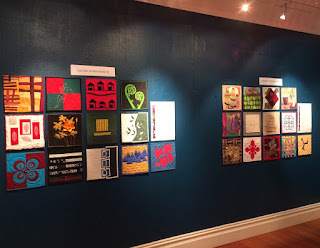 Every year SAQA (Studio Art Quilt Associates) holds a benefit auction. They ask members to make a 12 x 12 inch quilt to donate. These are then auctioned off to raise money for the association. They raised over $55,000 last year! My quilt for this year is a little different for me, it's the first time I've really tried to include a message. There is an ongoing debate about the back sides of art quilts. 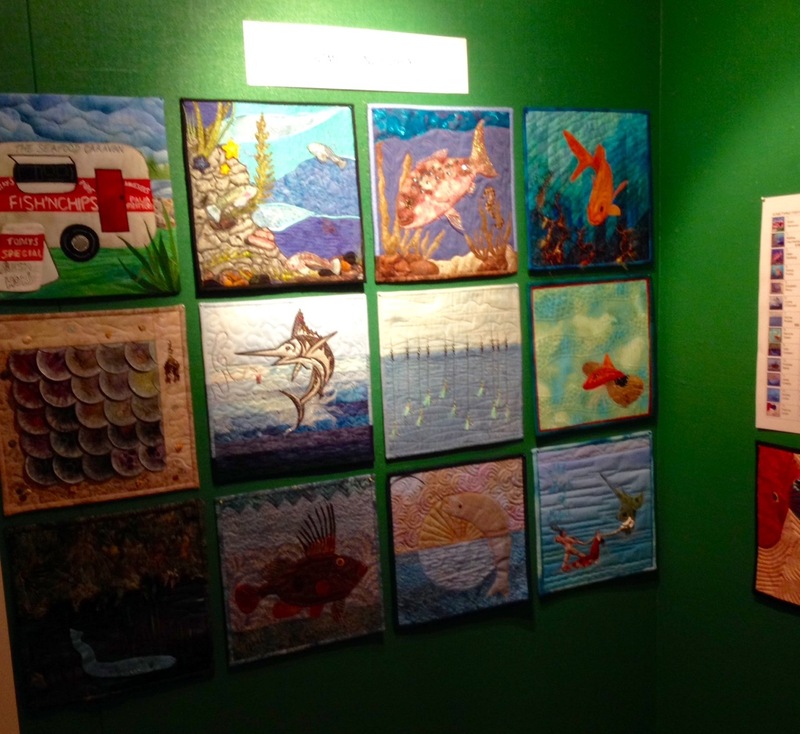 Artists who exhibit art quilts at quilt shows often feel that the back of the quilt isn't relevant and shouldn't be judged. Other's feel that in view of the traditions that art quilts spring from, the back is an integral part and should be celebrated as another aspect to use to convey a message. 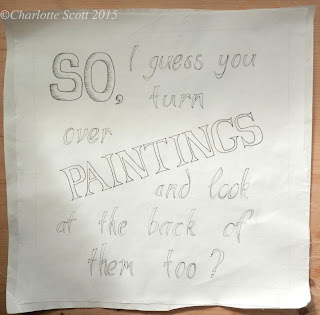 And still other comments I've heard are that painters never consider the back of their work, so why should we? It goes round and round and round! I'm not sure where I stand on the debate. 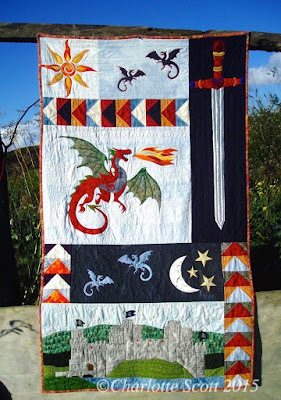 And hence my quilt: Seeing Both Sides of the Story. The text on the front reads,"So, I guess you turn over paintings and look at the back of them too?" 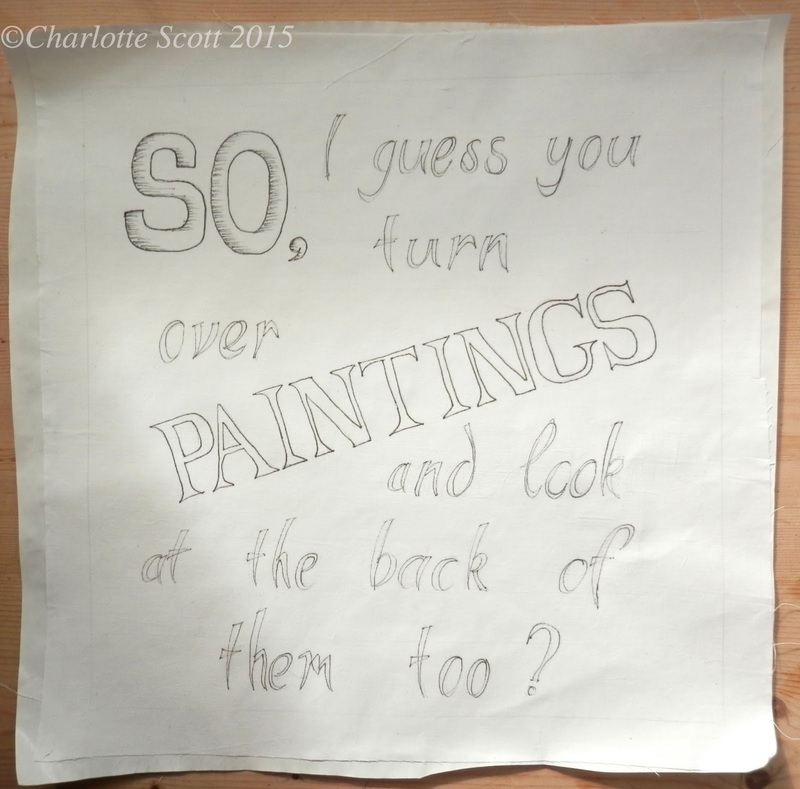 Which is something I've heard as a reply to people saying the backs of art quilts are important. You can say it with a sarcastic tone or not, up to you! I began with white fabric and a fabric pen. 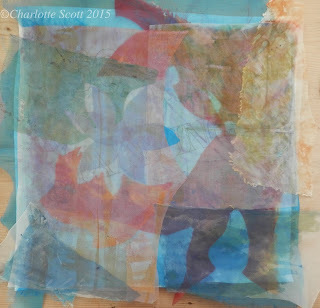 Then I used layers of hand painted and dyed silk organza. I wanted a painterly feel with depth and translucency. I worked up the text by quilting around the letters and using coloured pencil and colourless fabric paint to highlight them. The outline of a woman's back was done using a heavy thread in the bobbin and free-motion quilting. I used this motif for a couple of reasons - obviously the 'back' of the woman ties in with the statement of the 'back' of quilts. I also wanted people to think about both sides of things, how one side can be hidden but perhaps be the more revealing. I also wanted to reference fine art - nudes often appear in the traditional masters you see in museums. Textile is tactile; it begs to be touched and fondled, to engage that kinaesthetic sense. 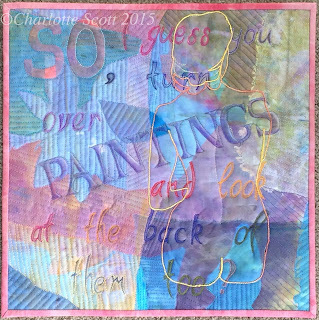 Yes, we hang textile art of the walls, but we also wrap ourselves in it. Should not the back be another aspect to engage with, to admire? Why do we insist on trying to make art like painters? We aren't painters, we are quilters, and we stitch though all three layers. So, let us celebrate a marvellous attribute of our medium and embrace THE BACK. And this, for me, is the other side to the back side story. I wanted this on the back so you would have to turn over the quilt (the action that the whole debate is about) to read it. I bound the edge with a very skinny single fold binding, popped in an envelope, crossed my fingers and sent it winging towards the USA. It arrived safe and sound and now appears on SAQA's auction pages, page 8. 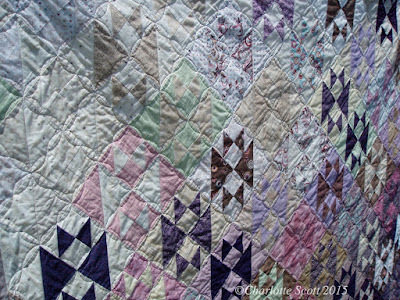 There are many, many beautiful quilts up for auction. There are also many videos of how individual artists created their art. Go and have a look - you will inspired and amazed at the beautiful work. 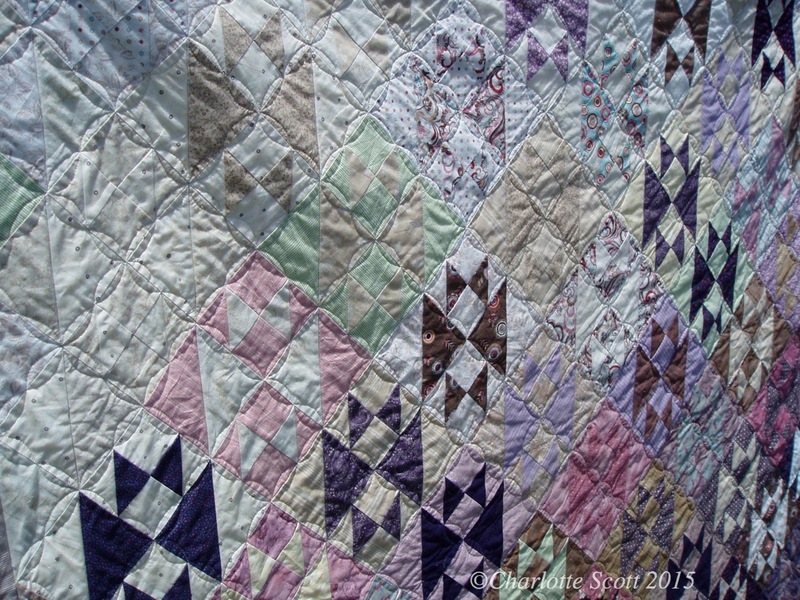 And please share the link with others so that they can see the quilts too. PS - I'd love to hear your thoughts about the back of art quilts, please leave me a comment. I thought I'd talk with my children to get an insight on what they thought about quilts, quilting and having a quilting obsessed Mum. They were happy to oblige and there are interesting, funny and a few golden moments through our interview. They both talk about their bed quilts I've made them. You know the saying about tailor's children having no shoes? Well, my kids have quilts, but they are both years old, very well loved and consequently getting tatty. 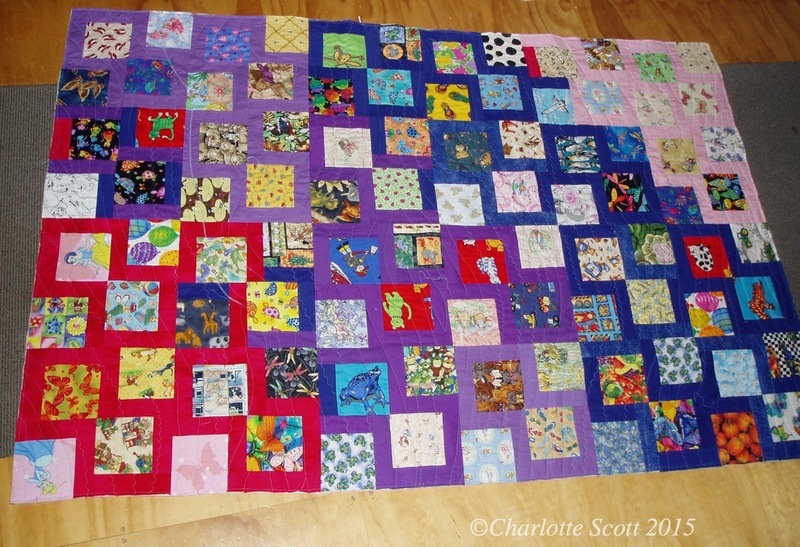 These old photos show me that at least my photo taking ability has improved, but it's also long overdue for me to make new quilts for them I think. You'll hear Liv request a fairy princess with a pretty dress riding a unicorn pegasus.......sure, I'll knock that off by next weekend! And here's a picture of the quilt we were sitting on. I asked them how much they thought I should sell it for....I'm hoping you'll gasp in horror when you hear the figure they suggested!